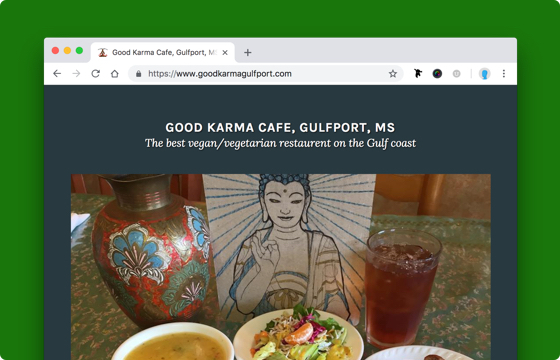 New Talavan is affiliated with two Good Karma Cafe restaurants, located nearby in Gulfport, MS, and New Orleans, LA. 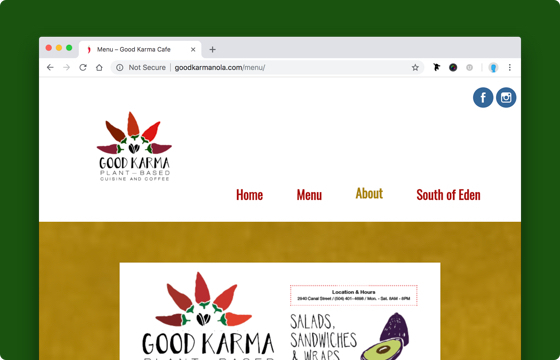 Our Good Karma Cafe restaurants offer fresh, delicious vegetarian and vegan meals for breakfast, lunch, and dinner. Our Temple’s gift shop is located on the farm property, next to the central pavilion. Stay up-to-date with our gift shop’s new items and sales on its Facebook page. Also, check out our new online store here: www.store.newtalavana.org. The Desire Tree Gift Shop is stocked with an excellent range of products, perfect for gifts or as souvenirs of your visit. We are your one-stop shop for traditional Indian garb, including jewelry, bindis, saris, Punjabi suits, and gopi dress sets, as well as menswear. We also carry tilak, kumkum, high-quality essential oils, incense, devotional articles, musical instruments, original art by local devotees, beautiful canvas prints, books, and specially crafted dolls for children. Whether you’re new to Krishna consciousness or a seasoned devotee, there is something here for everyone to ensure that you always remember your stay with us here at New Talavan.